Soon after the U.S. Army ordered two VZ-7 aerial jeep research prototypes from the Aero-physics Development Corporation, the company was absorbed by Curtiss Wright Corporation and became its Santa Barbara Division. The VZ-7 was originally designed as a ducted -fan type, like the VZ-6 and VZ-8, but it flew only with unshrouded rotors, of which it had four. 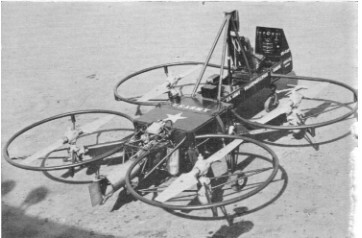 This arrangement simplified the control system, since differential pitch on the rotors gave both pitch and roll control. For yaw control, a small rudder operated in the exhaust of the Turbomeca Artouste IIB shaft-drive turbine. The VZ-7 was essentially consisting a rectangular central airframe to which four vertically-mounted propellers were attached in a square pattern. The central fuselage carried the pilot's seat, flight controls, fuel and lubricant tanks, and a single 425shp Turbomeca Artouste IIB shaft turbine engine. Curtiss-Wright's Santa Barbara Division (formerly the Aerophysics Development Corporation) was awarded an Army contract in 1957 for the development and initial flight testing of two prototype aircraft. Two VZ-7s (58-5508 and 58-5509) were ordered by the Army but only the first was completed and delivered to the Army in mid-1958. It flew successfully during 1959 and 1960 and served its purpose of providing general information on this type of vehicle. 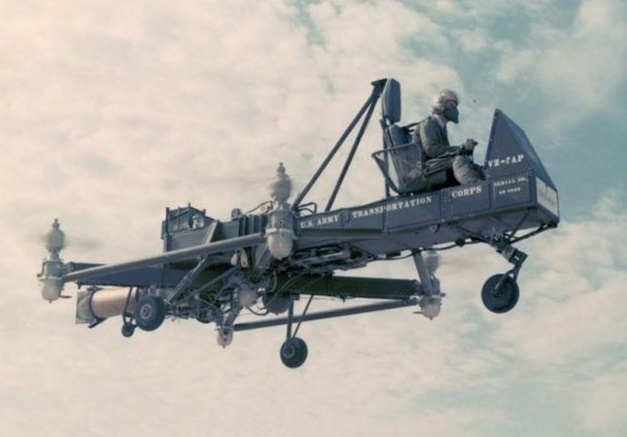 The craft was capable of hovering and forward flight and proved relatively stable and easy to operate but was consistently incapable of meeting the altitude and speed requirements specified by the Army. The VZ-7 was withdrawn from service and returned to the manufacturer in mid-1960. 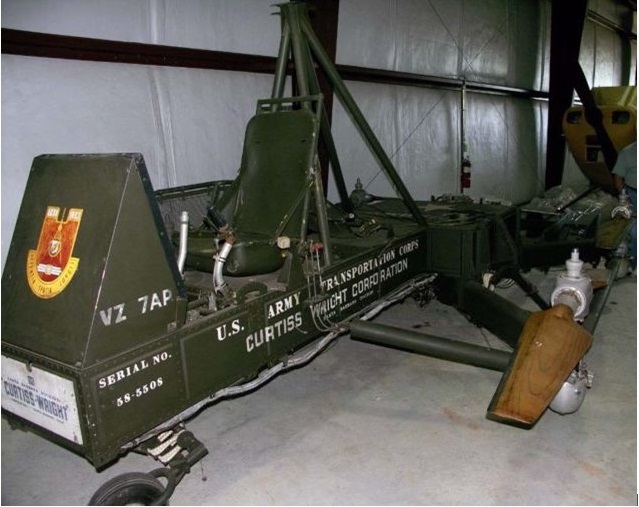 One of them still exists in storage at the United States Army Aviation Museum collection.